It was 2:30 am last Friday night when I finally gave up the fight for sleep. I’d been tossing for over 2 hours and sleep was evading me, and I decided to get up and make myself some hot milk and honey. I don’t usually have this dilemma, and knowing I had a weekend of report card writing ahead of me, I felt more than frustrated. I picked up the new book my friend Verda had bought me for my birthday, called Present Perfect: Finding God in the Now (Gregory A. Boyd) and almost immediately I had to chuckle. 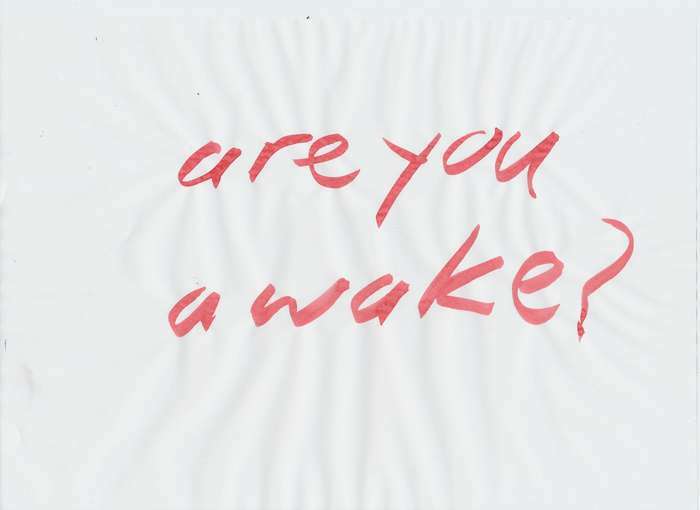 The first heading of the first chapter was “Are You Awake?” Why yes, I happened to be exactly that! I read the first chapter before attempting (successfully this time) to fall asleep. The next day, I got my reports done in fine form (plus had a nap), and have kept on reading. All week the book has stayed on my mind. Last night when I saw Verda, I half-jokingly told her I felt like the book was changing my life. It was the clearest evidence of God to me this week, sparking hope and contemplation. Like the above quote says, it has been living on in my thoughts. As I read the first chapter in my 2 am insomnia, I was introduced to the idea of becoming awake to the presence of God. Actually, I can’t really say I was introduced to this idea. On this blog, I have often quoted one of my favorite lines, that “God is closer to us than our own breath.” I believe that this is true for everyone in the world, no matter what their beliefs, backgrounds or religious outlooks. 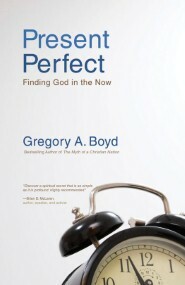 Boyd, the author, writes that God is present in all places at all times, which is also what the Bible teaches. The New Testament says that “In him we live and move and have our being.” (Acts 17:28) I think the question is, how aware are we of this fact. So, even though this is not a new thought for me, I was being woken up to it again. More important, Boyd invited me to begin practicing this awareness. Throughout my life, I’ve often been introduced to spiritual disciplines such as prayer, reading scripture, and service. The disciplines are excellent practices, but I can sometimes mistakenly think they are about “feeling” a certain way. When I have a warm fuzzy glow as one of my criteria, I don’t feel very successful at them. The author gave a very timely reminder that it’s not about “feeling” anything at all. In fact, you don’t even have to do anything at all. It’s just about becoming mindful of the fact that, at this present moment, we are “submerged in the ocean of God’s perfect love”, just as a fish is always surrounded by water. I have to admit, this is not usually what I have going on in my consciousness! I usually have a ton of chatter going on – worries and fears and brooding resentments and a ton of hamster wheel thoughts that happen over and over again about life’s million details. My trivial, self-centered mental chatter blocks my awareness of God like a dark cloud blocks the sun. The author says that my experience is not uncommon – many of us become absorbed in the past or future, which causes us to miss the wonder of the present moment. Even though I had been awake in a very literal sense that Friday night, I realized that maybe I have spent a long time sleeping. The book offers some easy ways that we can practice the awareness of God’s presence. One that has been particularly helpful for me this week is the one called Finding “Home” in Your Skin. Boyd writes about gravity. Unless we are in space like Chris Hadfield, our body is always in contact with something and is always being supported in multiple ways. Right now, my feet are supported by the floor and my body is resting on a sofa. Tonight my body will be supported by my bed. Boyd suggests that we use this constant touch as a “little signal that God is watching over you and caring for you.” In this way, our continual contact with the world becomes a sacrament communicating that we are always at home in God’s loving presence. I have been practicing this a lot throughout the week. No matter what I’ve been worried or anxious about, it has been a good re-orientation. Notice I don’t write that as I’ve practiced, I’ve “felt” better. Sometimes I continue to be on the hamster wheel, but this awareness has been a gift to me. It’s not a psychological trick, it’s just about getting my mind to line up with a Reality that I believe in anyways. It’s like it has been giving me hope for a bigger world. On Tuesday and Friday mornings, Lyle and I read scripture together and pray before heading out to work and on Friday a verse jumped out at me. “In tight circumstances, I cried out to the Lord. The Lord answered me with wide-open spaces.” (Psalm 118:5) I have been so grateful this week for how this verse is always true. Tight circumstances transform into wide-open spaces when we wake up to God’s ever-present Love. I was hesitant to write about this book as my “experience of the week” because I’m certainly no expert and probably never will be. But when I suspend judgment on how I’m doing and just rest in God’s love, I become aware of gratitude for everything, including a book that has become a friend in nudging me towards the wide open spaces.